We all had a favorite superhero party when we were kids. Almost all people on this planet are ardent fans of one or the other comic character. 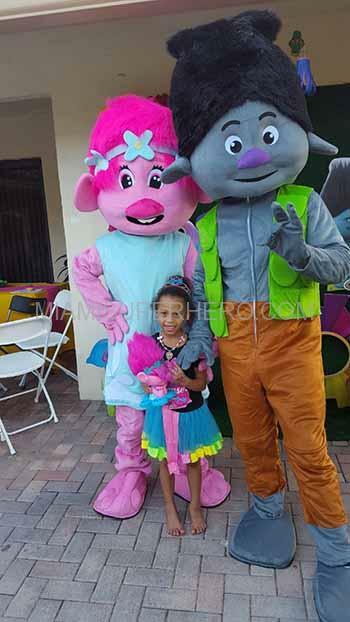 Kids idolize these characters and become genuinely attached to them. 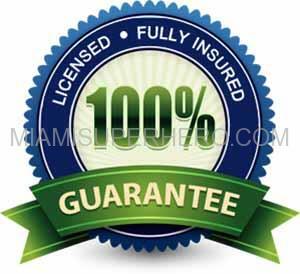 It is this attachment that culminates into the desire of meeting these characters in person. Now, adults may understand that these characters are just a figment of a certain writer’s imagination. But how would a 7 year old understand that his favorite character can’t come and meet him on his birthday. This is where Miami Superhero comes in. Miami Superhero boasts of a huge collection of character costumes including some of the most popular characters like Ninja Turtles, Wolverine and Batman etc. 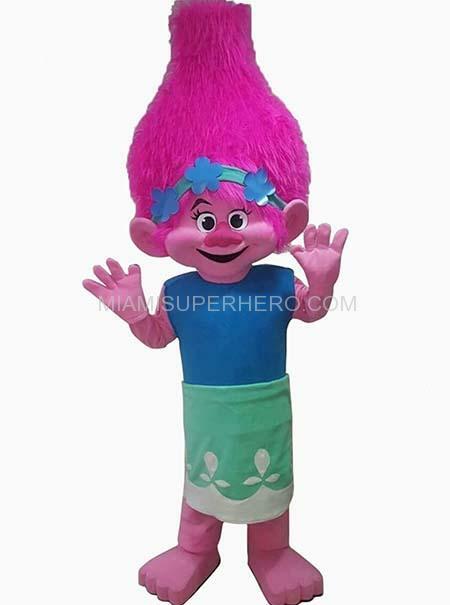 The latest in line Miami Superhero’s exclusive range of costumes is the Troll movie character Poppy.The lead character of the 2016 movie Trolls; Poppy has become immensely popular among children across the globe. Children adore Poppy and her cute mannerisms. 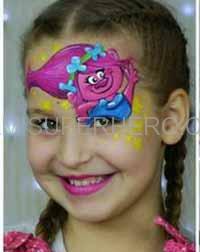 The movie follows the journey of Troll Poppy character as she tries to save her friends to from the Troll-hungry Bergen’s. The movie begins with a baby Poppy being served to the Bergen Prince Gristle. However, she is saved and replaced by a decoy. Then we get to see a grown up Poppy who is still chirpy and bubbly. With a sprouted ponytail, blue dress and green hairband Poppy has become one of the favorite Troll characters among girls. 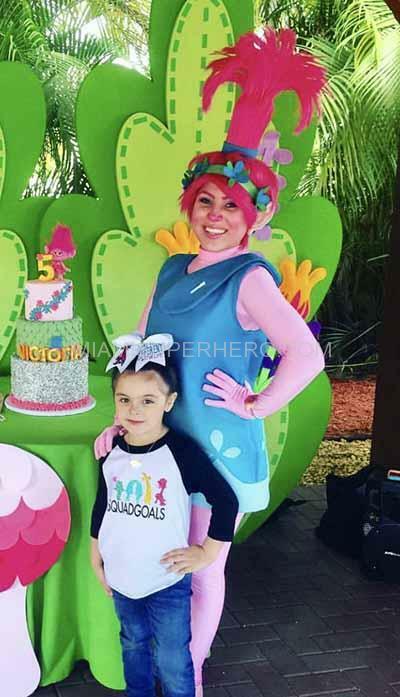 Poppy is one of the characters that children can easily relate with. Innocent, carefree, mischievous, selfless, energetic and at times naïve, Poppy can be childish and yet rescue everyone from the Bergen’s castle. 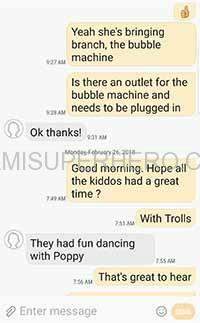 The Troll movie character Poppy is quite similar to popular Disney characters like Anna from Frozen and Joy from Inside Out. 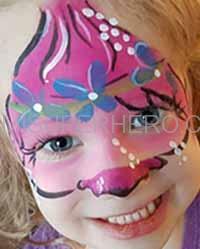 Like these characters Poppy loves to sing, dance and is always optimistic. 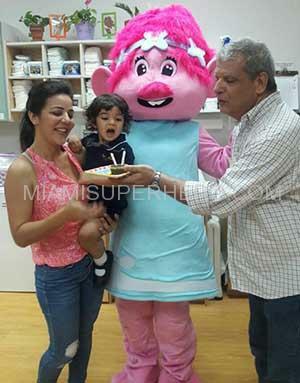 It is no wonder that kids around the globe adore this pink fluffy character. 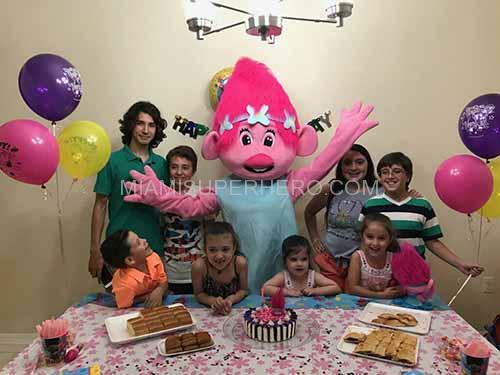 The Troll Poppy character can turn any children’s party into a fulfilled event. 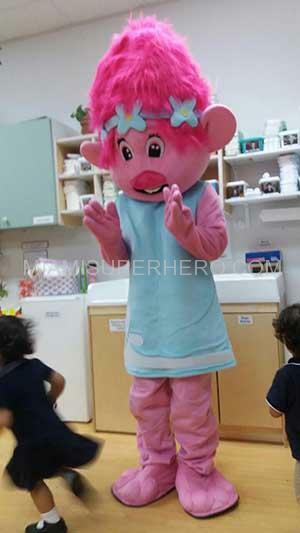 As a crossover between comic character and fairy-tale princess, Poppy has become an immensely popular character. She is funny loves parties. The plot of the movie starts to unfold from the very first party thrown by Poppy to celebrate the escape from Bergen town. 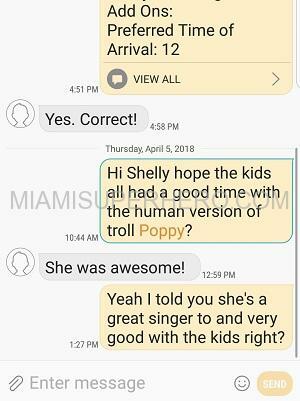 Poppy is the ultimate party troll. What she truly believes in is that every problem can be solved by a song, dance and a hug. So kids are bound to be happy when they see her dancing. 1. Extended character interactive package.